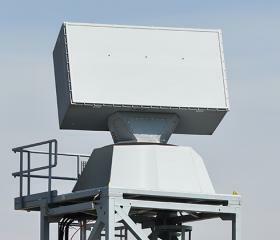 The radar set AN/SPS-73(V)12 is an X-Band short-range, two-dimensional, surface search/navigation radar system. 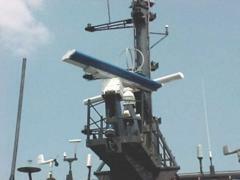 The AN/SPS-73(V)12 provides for improved signal processing and automatic target detection capability. The surface search function provides short-range detection and surveillance of surface units and low-flying air units, while the navigation function enables quick and accurate determination of own ship position relative to nearby vessels and navigational hazards. The system's radar processors and displays combine Commercial-Off-The-Shelf (COTS) products and specialized technologies to create navigational awareness. In the configuration of Shipborne Dual Radar System (SDRS) the radar uses the Japanese Furuno 2120 antenna and its pedestal. The AN/SPS-73(V)12 is replacing the AN/SPS-64(V) and AN/SPS-55(V) systems in their capacity as navigational radars on the US Navy Ships. It is currently installed onboard approximately 100 ships.